Home / Xiaomi Mi A1 Stock Firmware Update for Oreo 8.1 Free Download. 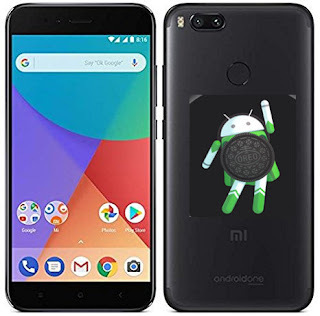 / xiaomifiles / Xiaomi Mi A1 Stock Firmware Update for Oreo 8.1 Free Download. Xiaomi Mi A1 Stock Firmware Update for Oreo 8.1 Free. The Stock ROM Package contains Driver, Flash Tool, and Manual. This post is made specifically for those whom wants to Flash Xiaomi Mi A1 Firmware due to countless of reasons, such as forgotten password, virus, malware, malfunctions, e.t.c. Important things to note before flashing. they are few important things to note before flashing any firmware so as to avoid bricks of the device. some are listed below. Ensure you don’t flash the wrong preloader i.e try to know the build number and the variant of the firmware you are flashing. please read this post by hovatek team or that by romkingz.net. please ensure you backup your important file before flashing eg contact, sms and media file (phone, music, and videos). Requirement before flashing for flashing Xiaomi. 2# The chipset flash tools (sp-flashtools or researchdownload). 3# The chipset or device driver. 1# Install WinrarSoftware in your Computer or Laptop, if already installed then ignore. 2# Download Xiaomi Mi A1 ROM Firmware for flash file from the link provided here. 3# Extract to as you like path better is desktop for easy understanding. Choose Click Scatter-loading button and select txt file from the location. 6# Uncheck (unmark) “Preloader” only but If device is dead then no need to uncheck Preloader click on Download button and Just Insert USB Cable to device. 7# If device dead or not detect then try with Volume UP button and Insert USB cable (Note: you can use Volume Down button also for detecting not working Up key). 8# Wait until finished process, do not try to unplug device while in flashing mode. 9# Congrats you have successfully flash The Xiaomi Mi A1 device. Link to Xiaomi Mi A1 Working Rom Below Updated. Download Xiaomi Mi A1 8.1.10 Oreo Beta Firmware. 1# Download OPR1.170623.026.8.1.10 Oreo ROM for Xiaomi Mi A1. 2# Download and Install adb drivers for Mi A1. How to Install OPR1.170623.026.8.1.10 update on Xiaomi Mi A1. 1# You must have unlocked the bootloader of your device first to use this method. 2# Download Xiaomi Mi A1 Oreo 8.1.10 – OPR1.170623.026 from above. 5# Now Reboot your Mi A1 into fastboot mode by Holding Volume down & Power button.